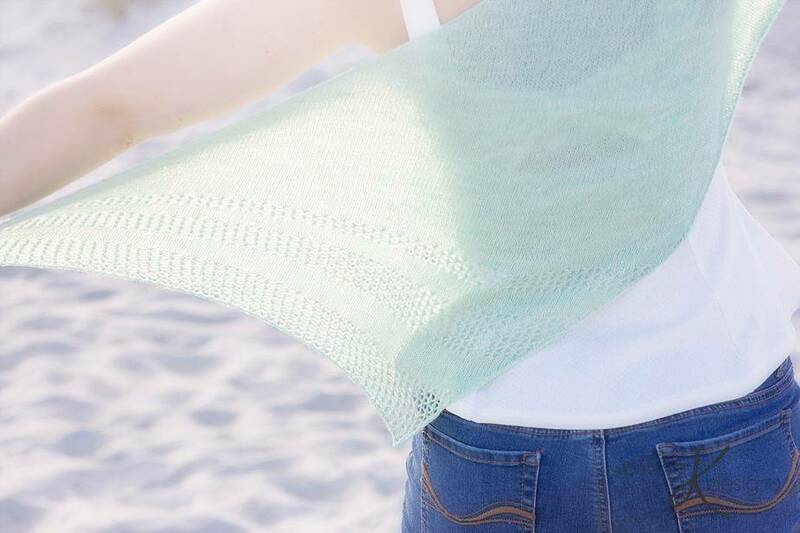 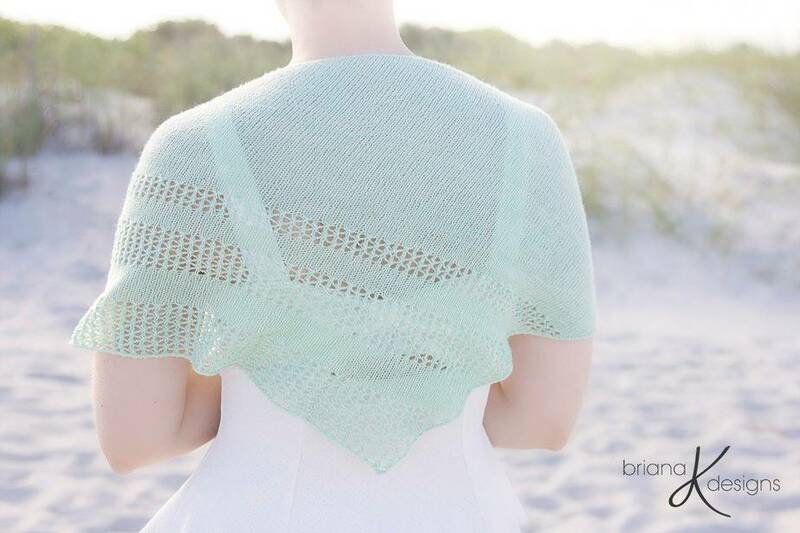 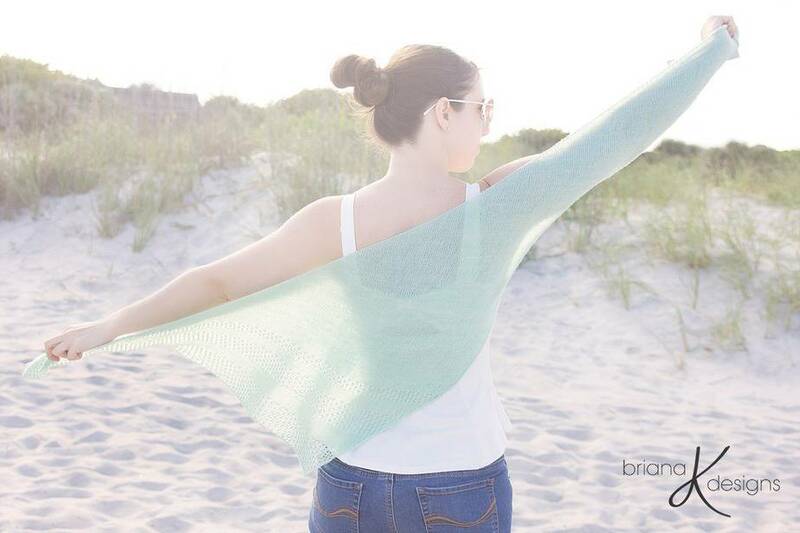 This light summer shawl is so delicate and slightly sheer. 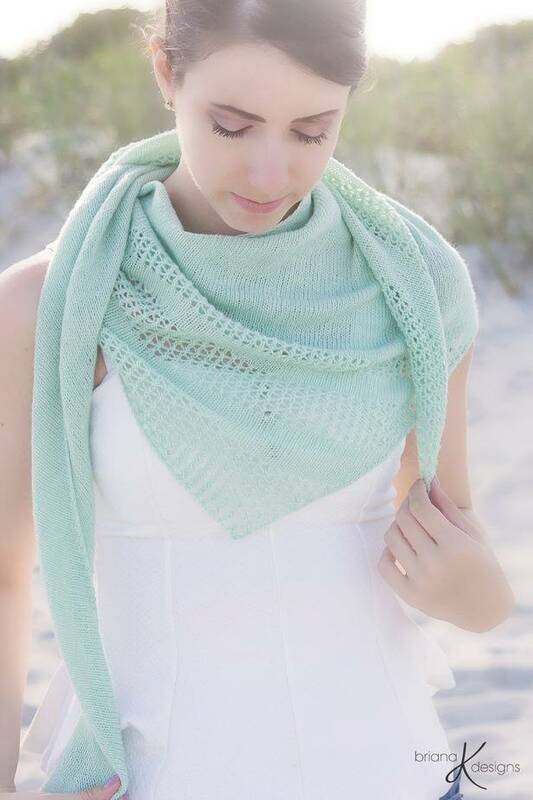 It’s functional not only as a shawl but as a scarf and fashion accessory as well. 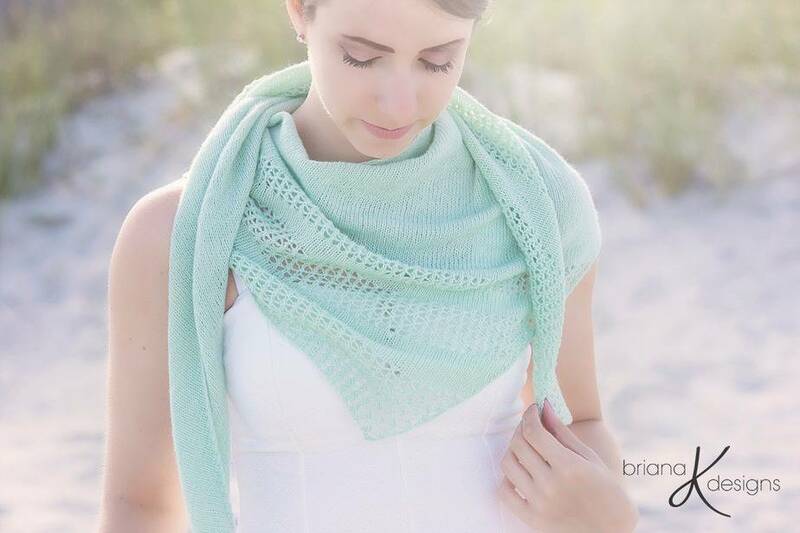 The bulk of the project is an easy repeat so turn on your favorite show or take this with on a trip!